We create classic American cider the way it’s meant to be. 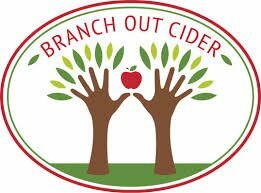 At Branch Out Cider, our model is centered around creating a business that unifies the local community. By collaborating with our neighbors, we can craft a product that is grown local, made local and consumed local. No lost fruit, no waste. And best of all, no need to haul truckloads of apples from faraway places. We encourage you to try our “200 neighbor blend,” it’s what makes for a truly local craft cider. We harvest and press apples in the fall and ferment them through the entire Colorado winter. We find that this slow, cool aging period best brings out the complexity and character of the apples and makes for a cider that ages well, is unique to each vintage, and incredibly drinkable. In the Spring, the cider lets us know when it’s ready for bottling, where it will continue to mature. The traditional method of bottle conditioning not only imparts a naturally delicate carbonation to the cider but a sophisticated finish and elegant mouth-feel. We wouldn’t have it any other way. Letting the yeast take their natural course, we ferment our ciders until dry. This creates approachable, subtle flavors and texture that will never overwhelm your taste buds with sweetness.